#MsJDPreLaw at the NYC Bar’s LSAT/Law School Prep Series | Blog | Ms. JD | Determined to Rise. Ms. JD was thrilled to co-sponsor the New York City Bar Association - Diversity and Inclusion Committee's LSAT/Law School Prep Series, held on January 5, 2018. In addition to a Law School Fair with representatives from schools around the country and workshops on the LSAT and personal statements, the event also featured two panels on "What to Expect & How to Succeed in Your 1L Year" and "How to Select & Apply to the Right Law School." 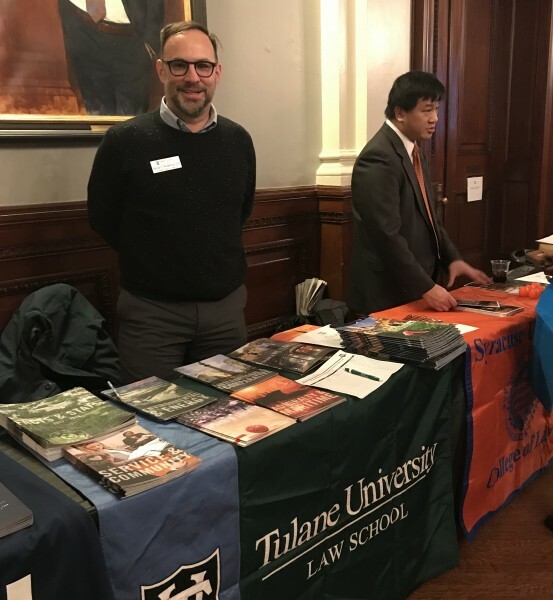 #MsJDPreLaw spoke with a few of the law school admissions professionals at the fair and asked them: "What's one thing you'd like our pre-law readers to know about your school?" Quinn Brown, Yale Law School: "Given the shortage of under represented groups in the profession, the world needs more diverse lawyers. That is definitely something on the radars of law school admissions professionals. My advice to prospective applicants would be to think about how they can make a significant contribution to school. It’s not just about getting a 180 or 4.0." Katrin Schroll, UMD Carey School of Law: "As the third oldest law school in the country, we continue to be one of the most dynamic law schools today, with our clinical law program and several specialty areas." To see more pictures and quotes from #NYCBarLSAT18, please visit #MsJDPreLaw on Instagram and Twitter. We look forward to continuing to partner with the New York City Bar Association, and to continue bringing opportunities like these to the bright, ambitious and diverse pre-law students of America!